Oh, a girl can dream can't she!? 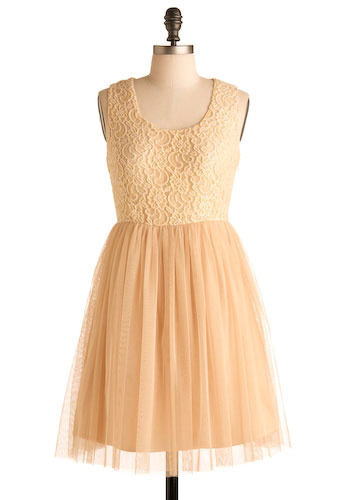 I would love nothing more than to own this dress to wear for my school's homecoming which is in October. What do you all think about it? Is it realistic? Is it too much money? Will it suit my body type? Please, opinions! Sometimes my head tends to get stuck in the clouds and my imagination roams wild. My family and Matt seem less enthusiastic about it than I do. I'm convinced that they are "see it to believe it people." For me, I don't have to see the dress on me to know that I will love it. For the past two days this dress has been all that I can think about. I.must.stop. Labels: Catching My Eye., Hair., Matt, Wish Lists. So pretty!! I'd say go for it--you're only in high school once. 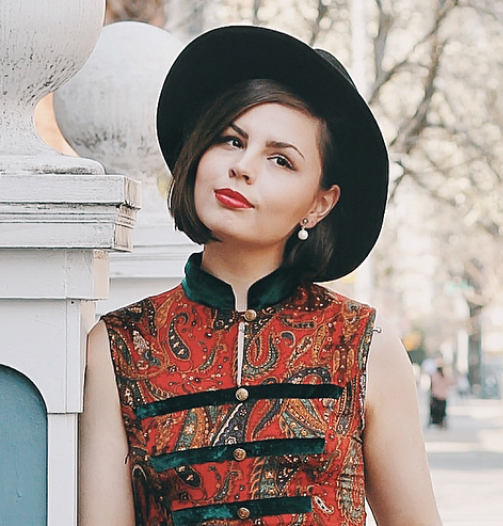 That's a gorgeous dress, and it's perfect for you! The price is not bad at all for a Homecoming dress. Plus its ADORABLE :)!! Homecoming only happens in high school so if you found one perfect dress then YOU GET IT GURL! Now I miss high school oh so dearly :(. Whoa that dress is GORGEOUS!!! It would look amazing on you!!! Plus you can keep on wearing it --- as my high school friend says "don't buy a prom dress, buy a dress for prom" and homecoming is like the same thing, so it's completely worth it!! I love the dress. Well really I love anything on ModCloth. Not too expensive at all. It's an investment! love that dress! it's just for you! so romantic! so retro! allthought you could add some accesories to make it more rock, so you could wear it easier! I think this would be such a pretty homecoming dress!! Plus, it's the kind of dress you could totally wear again so it wouldn't be a one-wear wonder.